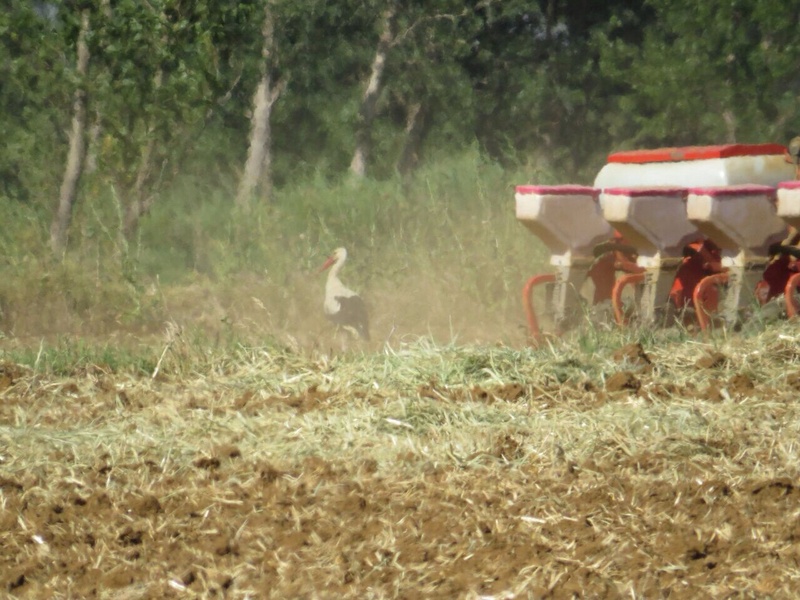 A good sign that Lebanese farmers are becoming more friendly with White Stork, these pictures in West Bekaa shows farmer working in his land and near him the storks are resting after a long migrating journey . 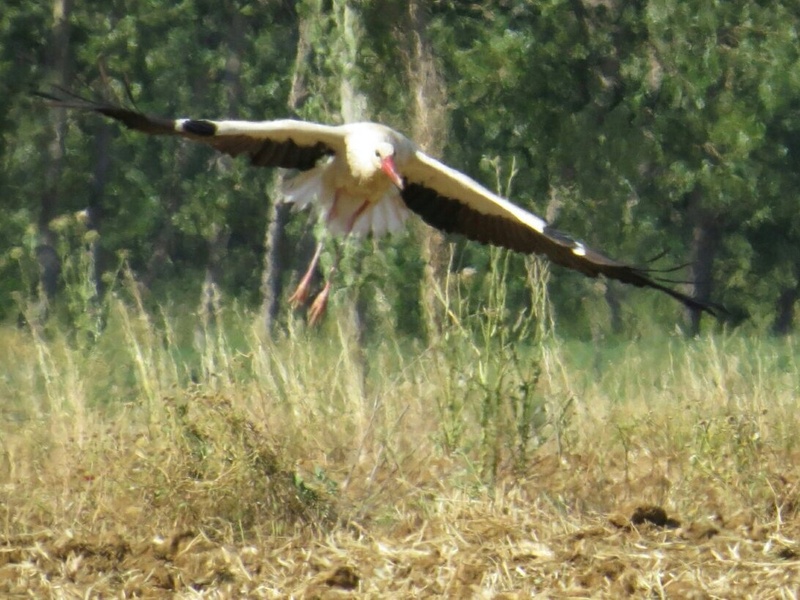 The diverse organizations, such as local citizen groups, environmental NGOs, government, and private sector organizations should work in close cooperation to revitalize nature and communities, which will result in saving wild storks in the country. This species is a Palearctic migrant (del Hoyo et al. 1992) that travels with the assistance of thermal updrafts, the occurrence of which restricts the migratory routes the species can take. The species is threatened by habitat alteration including the drainage of wet meadows, prevention of floods on flood-plains (by dams, embankments, pumping stations and river canalisation schemes), conversion of foraging areas, development, industrialisation and intensification of agriculture (e.g. mechanised ploughing of rough pastures to sow fertilised crops or swards of more productive grass varieties). It is also threatened by a shortage of nesting sites in some areas as, for example, the roofs of new rural buildings do not support nests and nest structures on pylons are frequently destroyed during maintenance work . During the winter in Africa there may be high rates of mortality due to changes in feeding conditions owing to drought, desertification and the control of locust populations by insecticides. The species may also suffer as a result of the excessive use of pesticides (e.g. in Africa) and through eating poisoned baits put out to catch large carnivores. Another serious threat is collision with and electrocution from overhead powerlines, especially whilst on migration in Europe . The species is hunted for food and sport, mainly on migration and in its winter quarters.